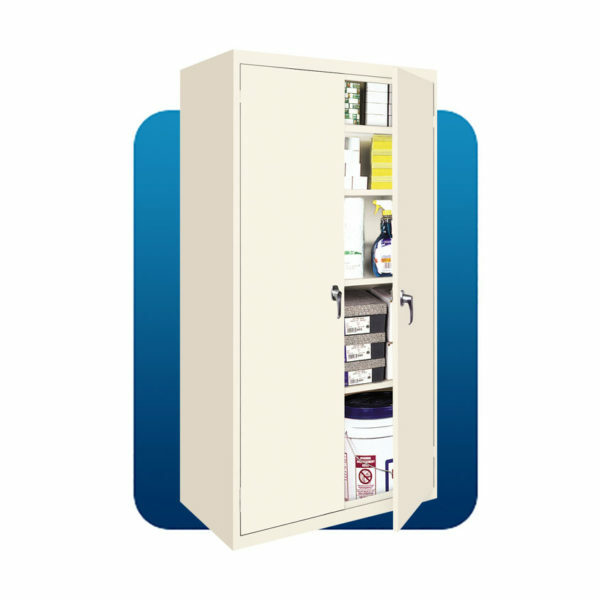 Since the design for a Fixed Shelf Office Cabinet was introduced in 1975, the concept has been well received by dealers and their retail customers, providing long lasting structural integrity at a price well below a cabinet with an alternate design. The FS-3618 (36″ x 18″ x 72″) is our BENCHMARK CABINET. The Fixed Shelf Series has been engineered to provide secure long-term, trouble-free storage for your customers at very economical price points and will continue to generate steady retail volume in the future.